Over the summer, the Vanguard reported that the Davis Innovation Center, which officially “paused” its development process in the spring of 2015, is considering moving up to Woodland where they will have significantly less in the way of obstacles and open arms from the city council. In an article in the Daily Democrat from September 15, the Woodland General Plan process seems to be moving along smoothly and relatively without contention. While “rebuffed” is the wrong word, the efforts ran into obstacles. Immediately, neighbors to the north in Binning Tract, not even part of the city proper, started to complain about a potential project between them and the city of Davis. The Vanguard has learned from well-placed sources that a big part of the problem for this project, as well as the Mace Ranch Project, was a means to finance the project without housing. Without the constraints of Measure R or requirements of no mixed-use housing, Woodland might be a much easier destination and the location is just five miles further up the road from UC Davis. While the project, comprised of 2 million square feet of research park space, better generate more than several hundred new jobs, the point remains that Woodland is figuring to capitalize on the failures of Davis. Meanwhile, Woodland continues its plan to move closer to Davis. Already there is a joke that developments along Road 102 constitute “north North Davis” – if Woodland continues to head southward, the distance between the two could be diminished. One of our readers suggests that Woodland could be the means by which Davis’ growth “problem” is resolved, provided the needed housing for UC Davis continues to expand, and Woodland would prosper with the technology transfer that could have and should have gone to Davis. Davis under this scenario would not be forced to expand its borders or provide new housing for UC Davis students and faculty. Of course, the traffic impacts on Davis will continue, as more traffic comes down Pole Line Road from Road 102 and down 113 to UC Davis. Davis would get the impacts from this development, without new revenue from economic development or a means to fund its infrastructure or provide services. This is the problem that we face. The rest of the region is waiting to capitalize on our inactions. Already the loss of two innovation parks and Nishi’s defeat is being seen, with Woodland waiting to take advantage. Woodland, Dixon and West Sacramento probably benefit from Davis’ lack of retail as well – with tax leakage continuing. But many in Davis do not seem alarmed at these developments, even as our ability to keep basic services and infrastructure increasingly gets taxed. Could have. Certainly. Should have……why ? Where is it written that the benefits of the proximity of the university should accrue only to Davis, but should not enrich the region as a whole ? Perhaps some of us are not “alarmed” because we see beyond the confines of community competition. We can choose to live in a solely competitive world with each community out only for its own enrichment ( other communities “taking advantage”). Or we can choose to collaborate with surrounding communities recognizing that Davis has the advantage ( and disadvantages ) of the physical presence of the university while other communities may want to focus on larger offshoots of the start ups that thrive in the Davis atmosphere. I do not see artificial “protectionism” of cloistering innovation within Davis as any more realistic than pretending that we can roll back the clock on “globalism”. Where is it written that the benefits of the proximity of the university should accrue only to Davis, but should not enrich the region as a whole ? Does the region pay for our roads and infrastructure that UCD and its students have use of and costs the local taxpayers in the form of taxation? If we as a community are paying for this shouldn’t we get most of the benefits that accrue from the university? My answer to your question is found in the name of the university. This is not the University of Davis. It is the University of California – Davis. It’s mission is to provide education to the residents of our state…..not exclusively the residents of our city. As such I believe that there should be shared costs and benefits, not simply localized ones. So, I will ask you a question in return. What percentage of the benefits from the university do you believe should come exclusively to the City of Davis ? Indeed, Davis has no “right” to any of those benefits and in perspective of the recent rejections of tech, research, commercial and residential projects has little if any right to grouse about the diaspora of talent and cash, benefiting the more receptive communities in the region. As a corollary Tia, Woodland has no “exclusive right” to the gangs edited it has been long identified with. Davis has a clear right to acquire these elements through judicious use of affordable housing and other measures. [moderator] edited. No pejoratives please. Perhaps some of us are not “alarmed” because we see beyond the confines of community competition. Please get off this holier than thou “no compete” horse. You are hyper-competitive about preventing growth and change in your community… especially around your back yard. We compete pursuing our own self interest. It is clear that your own self interest is preventing growth of the city and raising taxes to fund the amenities and services you value. You are one of the most competitive people I know on these things. They volumes you write prove it. Once again, I really wish that you would stick with what I have done and am doing instead of characterizing me in what ever way suits you. It is true that I opposed the initial Trackside proposal. It is equally true that I advocated for for Nishi proposal. I believe that you are confusing the words “vocal advocate” with the word “competitive”. I have mentioned this once before, but you have clearly not taken me up on my suggestion that you address the question of whether my participation with the developers of several ongoing projects, at their invitation, has been competitive ( as in trying to block their projects) or collaborative ( in order to help them design projects and processes that will be seen as a win-win by the community) and thus more likely to be successful. You are competitive in your views and actions for what you want the city to be like. Collaboration is not needed if there are no competing interests. Otherwise everyone would just shake their head and say yes! You have competing interests and you compete for them. Hard. You are a very competitive person… hate to burst your no-compete bubble. the traffic impacts on Davis will continue, as more traffic comes down Pole Line Road from Road 102 and down 113 to UC Davis. Not only that, but housed in town or on campus many of these students would bike. Now they will drive, and therefore will need new parking spaces on or near campus. Who pays for THAT? Question to all, would anyone that lives in Davis rather live in Woodland, West Sac or Excremento? 1. Will the same be true in ten years? 2. If you can’t get a home in Davis, is Woodland (a few miles down Road 102) a decent fallback location? 3. If we lose out on research parks and revenue generators, will we be able to afford infrastructure and services? 4. If we have to greatly increase our taxes, will you still agree? “Question to all, would anyone that lives in Davis rather live in Woodland, West Sac or Excremento? I don’t know what case that you believe has been closed. The answer is a resounding ‘yes’. My daughter has just bought a house in Sacramento although she could have lived in Davis. My son will be moving next year as the hours of his program increase making it better for him to live in Sacramento than in Davis. I know of a number of young couples, some having moved from the Bay area and definitely able to live wherever they wanted that have chosen to live in Sacramento rather than in Davis for a variety of reasons. 1. Probably since we have been having variations on this same theme since long before I came to Davis 30 years ago. 2. Yes, until such time as you have built enough equity in your home or saved enough to move back to Davis if that is your priority. As someone who was not able to buy in Davis initially right out of school, but managed to work my way back, I do not see this as a loss of opportunity, or a tragedy, but merely as a matter of what I had to do to work my way back. 3. In my view, absolutely, if we are willing to pay for them. 4. Yes. And as I have stated many times, I would be willing to pay “my share” and contribute for those who are truly unable to contribute as much. And the Horatio Alger myth takes many forms. I don’t have any problem living in Woodland and parts of Sacramento. There are still benefits living in Davis, but they are being overrun with a growing list of declines. Lots of people choose Woodland over Davis because it is a cheaper place to buy a home albeit more car dependent. Maybe this will prompt several protected bike paths between Woodland and Davis (one on the West side and one one the East side). Maybe this will make Unitrans bus service between Davis and Woodland workable (a route on the West side and a route on the East side). There is also a plan for building a bike path between Davis and Woodland alongside the railroad tracks; a Woodland citizen engineered every foot of it from town to town. A tough sell, yes, but what a glorious path it would be, and so needed and ever more so into the future. Unfortunately, the rail relocation idea has as much as killed it. The impossible dream killing the possible dream. “Oh, but why invest all that money when we can build a bike path in place of the railroad?”. Because rail relocation might happen someday, a few years before the sun goes nova. Of course, I realize that funding would need to be addressed. I’m wondering if you’d consider submitting an in-depth article to the Vanguard, regarding this subject. You seem to know a lot about it. Why not? Lack of funding and political support. Building alongside is a bit more expensive, as you have to build new bridges, path. I’d consider it. Doing it is something else entirely. Simply said, if Davis does not take measures to control its destiny, somebody or something else will do the job for us. Nature abhors a vacuum. When our destiny is done by somebody else–guaranteed–all in Davis will be unhappy. Therefore, do we make everybody unhappy or do we take a proactive role to make the majority happy? There is a point at which “hyperbole” devolves to “lying”. I agree with your first statement wholeheartedly I have a question with regard to the quoted statement. To which majority to you refer ? The majority of the voters who supported measure R ? To the majority of voters that rejected Nishi ? To some “silent majority” that one might assume is out there ? To which majority to you refer ? I believe they are referring to the MMM, the “Magic Mushroom Majority”. They exist, or vote, only when you are on some really strong hallucinogens. I assume that when they reviewed the request for proposals issued by the city, the fact that housing was not to be included was made clear to them? Yes it was and their initial plans included no housing. So either these developers were clueless as to the viability of an innovation park with no housing (which I highly doubt because they’re the so-called experts) or possibly the plan all along was to get a foot in the door and try to infuse housing down the road. I think you miss the explanation in your comment. They didn’t work on the financing of the project from the outset. Why do you think the people who were representatives of the project would be experts on financing? They’re developers and should have had a clue on how it works. I’m sure they’ve financed many projects before. Why are you so intent on giving them a pass on this? They’re developers? That’s a relatively broad category and this is a very heavily specialized part of the field. I would think that anyone coming in with plans to build multi-million dollar innovation parks would have a clue on how it would get financed. Wouldn’t you? Just to clarify, the link to the movie clip above is not directed at a person. They were aware of that. The financing without housing proved more difficult than anyone anticipated. What’s curious about this is that you can go online and find new business parks. Some have housing, others don’t. It doesn’t seem to be an essential part of building a business park everywhere. So why was that the make-or-break condition here? Is it actually the case that no peripheral business park can get built in/near Davis unless it has a housing component? The first thing is differentiate between business park and research park. There is a difference. The second is to add in the component of Measure R.
Without wishing to quibble about these definitions: there are no research parks without housing? The financing of any real estate project had grown MUCH MORE difficult because of the the EXPLOSION in banking regulations ie Frank Dodd and other regulatory increases to punish banks and lending to help prevent the “little guy” from stepping in his own pile of ignorant-mistakes. Longer-term debt has become much more expensive and much more difficult to underwrite. And then all banks have different credit appetites and different portfolio concentrations that contribute to loan acceptance and loan pricing. And for banks to make final decisions on these things the project has to be analyzed and under-written… basically summarized for the credit manager. So, no the developer would NOT know the full financing picture until all the information for the project was collected (including needing to let all the Davis people make their list of amenities and taxes they demand)… and then until the bank(s) got back with their decisions. I wonder what would happen if the city now issued another request for proposals. They would get laughed at by everyone. Davis is really in trouble. Why don’t you just call it a “crisis” like David usually does? Who is going to invest money in Davis? Here’s why Jesus made an exception for and example of the money lenders. I’m sure they have a clue, though it seems that some others may not. The negative impact of working within Davis cannot be overlooked here. 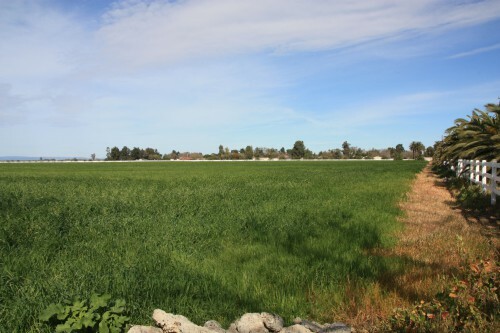 A project that might obtain financing if proposed in Woodland or Dixon, may not in Davis due to the added burden of the unreasonable demands of some residents. Including the demands of those who lack a basic understanding of developments and financing. Development projects have a lot of ‘moving parts’ that don’t become completely fixed until well into the process. Financing is one of the final pieces of the puzzle. Of greater impact, however, may be those residents who refuse to allow a project to ‘evolve’ with the changing environment, demanding that the original specifications be maintained even after it becomes apparent that those criteria make the project unworkable. Instead of making adjustments to their own expectations, they scream ‘bait and switch’ or complain about proposed changes to zoning or design guidelines, effectively poisoning the opportunity for collaborative problem solving. It is those who vocally oppose projects early on, often focusing on a single criterium with little understanding of the entire scope of the project, who are the greatest impediment to our addressing and improving our City’s fiscal future. Mark West, if I were a developer and owned a big company before I was going to sink what was millions of dollars in buying land and going through the planning process where I’m paying many employees for blue prints and whatever else is invloved I sure as hell would have a pretty good idea that the project was going to get financed. Otherwise I would just be wasting money. Kind of like being pre-approved by a lender to buy a home. And Mark, going from an innovation park only to later try and include housing is not just the evolution of the project, it’s entirely changing the project from what was put forward and asked for. The problem is that you’re not a developer and so perhaps it’s not as simple as you think. I have a novel idea, why don’t you talk to some of the developers and find out if they are full of it or there was a real concern. I’ll get right on the developer hotline, how’s that S.M? Here is how it works BP. The developer takes his prior experience on a per-acre and per square-foot basis and estimates the project. Then the developer goes to the bank for a preliminary acceptance (they get a letter of intent to loan from the bank). Then the developer invests in the planning phase. The planning phase is lengthy to try and capture all the requirements and their associated costs. Then the developer takes this more exact plan and associated costs to the bank and applies for a loan to fund the project. The bank will want collateral and-or borrower injection to cover the risk of default. But for an innovation park loaded up with Davis-demanded goodies, the break-even would be 10 or more years down the road. And the longer the term of the loan, the more risk is associates with it and the more expensive it gets. And eventually the bank will say NO if the terms and risk get too large. What happened here is that the final estimate required more front-loaded returns to get the project to pencil out with the long list of Davis amenity demands including the 3-1 ag mitigation demand. You are just wrong about this. Think about it this way… if the developer knew the full cost picture before hand, why would he have sunk millions into the plan development and the pre Measure R campaign? The answer is clearly that the developer did not know. These development projects are highly complex with lots of moving pieces. There are EIRs, and environmental reports that can uncover expensive new requirements. Nobody knows enough to nail down costs before they complete a planning phase. That’s one of the most succinct explanations we’ve had yet. Thank you. So the ag mitigation is the major factor? A major factor? The housing is, or could be, a tradeoff against the ag mitigation? The developer didn’t know about the 3-1 ag mitigation clause coming into the project? Not being snarky, just trying to understand. I don’t think anything that the developer encountered could be considered that much of a surprise. But that said, the developer could absolutely count on the project going down once housing was introduced. It was a proposed evolution of the project in response to the reality of the financial environment that was in place at the time (along with the demands of residents). The fact that you repeatedly (and loudly) proclaimed it a ‘bait and switch’ just proved your lack of appreciation for that reality. You allowed yourself to get hung up on one characteristic of the project without proper consideration of the whole. The fact that many others (including the CC majority) shared that short-sighted approach doesn’t really change anything. I am not an insider on this, only got to hear rumors. But I think there might have been some early discussions about this where there was going to be maybe less mitigation or that the city would help in some way. But once the no-growers started growling and looking for ways to kill the project, I think the city made it clear that there wasn’t going to be a short-cut. Which is a shame because it is an ordinance and the CC could have over-ridden it. Just goes to show how gutless our CC has been in the face of these rabid no-growers. So the ag mitigation is the major factor? A major factor? Again, I am not the insider. But the rumors I have heard were that the ag mitigation costs combined with other costs were more than expected and at some point they needed the housing to help it pencil out for the financing to come through. It makes sense though. 400 acres isn’t going to be cheap now with the nut farming craze. I understand we are talking about $30k per acre now. By my math that is $12 million. Note that I also think that there were CC and city staff wringing their hands that MRIC and Nishi at the same time or even being talked about at the same time would potentially harm Nishi Measure A vote and so there was less “help” from the City staff and CC to creatively help the MRIC pencil out. I think some on the CC wanted to just push for the housing at MRIC… but again, we will have NONE of that in Davis. And so here we are with nothing and the rabid no-growers get their way yet again. Don: “So the ag mitigation is the major factor? A major factor? Let us assume for the sake of this explanation, that all land has the exact same per acre value (something that is obviously not true). If you have to supply 3:1 land mitigation, that means you are buying 4 total acres of land for every 1 acre that you want to develop. If land costs are a major factor in the cost of your project, then the mitigation increases that major cost by a factor of four. In reality, the land used for mitigation is often less expensive than the land used for the development, and the requirement may in some cases be satisfied by purchasing the development interest of the mitigation land (and not the land itself) and placing a lien on the property that prevents future development. Either way, the mitigation land is certainly a significant factor that needs to be addressed, but it may not be THE major factor. There are many things that can be used as a tradeoff for the mitigation and other demands of residents, adding housing being just one option. Other options could include increasing project density, reducing amenities, or making changes to the planned ‘fit and finish’ of the project. Sometimes the tradeoff can be something that increases the early cash flow for the developer, such as a sale of a portion of the project to another developer group or company. It seems to be an unpopular idea in Davis, but the reality is that developers need to make a profit in order to satisfy their investors and financiers. The greater the financial risk involved, the greater the profit (return) that is required to balance that risk. When we make demands that increase the cost of a project, we are directly increasing the financial risk and forcing the developer to find ways to increase their return to balance that increased risk. At some point, there may be no way to balance the greater financial risk and consequently, the project will no longer ‘pencil out.’ That is what happened with the innovation park proposals, we killed them with our collective demands. I was thinking it was 2:1, but you are correct. We are not greedy people at all, are we? If we start with the premise that housing is less likely to be politically acceptable than a change to the mitigation, perhaps someone who is familiar with this process could suggest how to reduce that cost. Does purchasing an ag easement on a property qualify as mitigation? Could funds be put into the Measure O ‘account’ to go toward purchases they are considering? Could the Open Space commission identify parcels that could be weighted higher in achieving mitigation, and have the mitigation ratio reduced? I just think there’s a lot fewer people concerned about ag mitigation, or who have any idea how it works, than there are concerned about housing. Bottom line is that I would like to see council taking an effort to make the north Davis site work, and it seems there are possible actions they could take to get there. Yes, and as the current Wells Fargo scam definitively proved is that banks are so open, honest, and transparent in their dealings with the “little guys” that there should be many, many fewer regulations on them ! Don’t you agree ? The Vanguard is placing sources? If people in this town continue to ignore this issue, we will become a pension system with some crappy parks, and not much more. People here vote against things because they dont want traffic, they dont want more this more that… And just stick their fingers in their ears and nah nah when you say that those impacts will come anyway.. and we will get NO say, and NO $.. Then those same people go to city council proposing ew and ever expanding programs.. “we need to subsidize BPA free yoga for all the seniors” we need this we need that.. Davis has to lead… but where will the $ come from? It is this lack of accountability for causing the very problems that they then complain that somebody else needs to solve for them that irritates me the most. Was that BPA free yoga, or BPA-free yoga? Big difference. I’m in favor of the second, the first only for seniors who really can’t afford yoga (yoga is pretty reasonable in this town, probably a bi-product of the town-o-students), and that ain’t many in Davis. A moment of latitude here. White America is dying and realizing that its lifetime of political hubris is leaving them poor, hurting and alone. Noam Chomsky and others have also written on this topic. I think some of the Davis obstructionists would agree with this. And I wonder if those same people can introspect and conclude with an open heart to themselves whether or not the Davis historians will find them guilty of the same folly, i.e. detrimental political hubris.